Maybe you are a new to the infertility journey. Perhaps you could be considered a seasoned veteran and you know more information than you care to about regarding all things involving reproduction and infertility. Maybe you are in trenches, in the hardest, saddest part of infertility and you can’t even articulate what you are feeling. No matter where you are in the midst of experiencing infertility… it.is.difficult. No one chooses to go through infertility. And no one desires to experience it; however, here you are longing for a child but standing with empty arms. You are not alone, and it is okay to hurt. You may feel like you are not a whole person because you are unable to have children (now…or maybe ever). But I want you to know that infertility is not your identity. When you feel like your life’s desire to be a mom or a dad is currently impossible, focus on hope. If you feel like you aren’t a full woman or a full man because you are having trouble conceiving, remember you are valued. When you want to say “I am infertile” or “I am sterile”, veer away from that terminology. 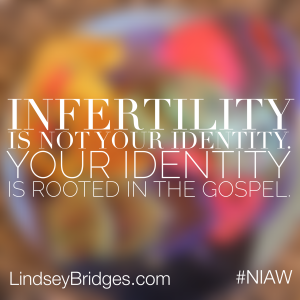 Your infertility is not your identity. If your picture of the American Dream can’t be accomplished without children in tow, repaint the vision to hope and possibilities. When all your friends around you seem to be getting pregnant, remember that your worth is far greater than your ability to conceive. As you watch all the Mother’s Day and Father’s Day advertisements coming up, look at the children in your life that love you as if you were their parent. When another month rolls by reminding you of a dream not met, focus on the lessons you’ve learned from another month of waiting. If you feel wrong for being sad because you don’t have children, don’t! Give yourself permission to grieve. You are not defined by your infertility, and infertility is not your identity. But infertility can shape and mold you…. for good or for bad. Let yourself experience the pain, the grief, the sadness, the depression, and the hurt that comes with infertility; yet allow yourself to see the hope for your future. While the future may not include children (biological or otherwise), hope does remain (even if it seems like only a tiny glimmer right now). Be grateful for your spouse, your family, your job. Allow those things to fill you, as you work through the emotions of experiencing infertility. Process through what you are feeling with your spouse, trusted friend, pastor or counselor. Create your identity around who you are right now, not what you are currently unable to attain. 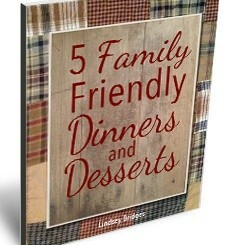 Your spouse, family, and friends love you for who you are and how you make them feel. That is your identity. That is where your value is. When you start to feel like something is wrong with you because you can’t have children biologically, remember you are valued, loved, and made in God’s image. 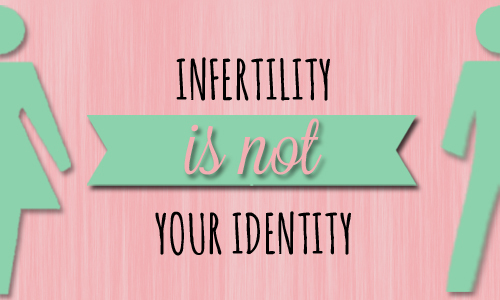 Infertility is not your identity. Your identity is rooted in the Gospel and the hope you have as a child of God. It’s definitely not easy to feel that way when you are struggling (believe me, I know…), but God is faithful and there is hope in your life as you walk this path. You are not alone. *This week (April 19-26, 2015) is National Infertility Awareness Week (#NIAW). Infertility affects 1 out of 8 people (who are of reproductive age) and can be a silent struggle for many. If you or anyone you know of would like more information about infertility, check out www.resolve.org. If you are interested in infertility coaching, shoot me a message here.